Speaker on economic trends and award winning author of Crossroads: The Great American Experiment. Rodger Baker leads Stratfor's analysis of Asia Pacific and South Asia and guides the company's forecasting process. A Stratfor analyst since 1997, he has played a pivotal role in developing and refining the company's analytical process, internal training programs and geopolitical framework. Mr. Baker develops custom reports for clients and frequently delivers executive briefings to investors, businesses and universities across the globe, from the National Defense University in Beijing to financial institutions in New York. He is regularly invited to participate in dialogues and panel discussions in China, Japan, Thailand, Mongolia and South Korea. Mr. Baker often appears as an expert in major media including The Economist, The New York Times, CNBC, CBS's The Early Show, The Chosun Ilbo, China Daily, Reuters, The Associated Press, Investors Business Daily and The Globe and Mail. Stratfor was one of the first organizations to identify the growing problems with the Chinese economy, with Mr. Baker spearheading the company's assessment. Before joining Stratfor, Mr. Baker studied and worked in South Korea and graduated with honors from Southampton College, Long Island University. He also has a master's degree in military history from Norwich University, the oldest private military university in the United States. Chief Global Economist of the Economic Outlook Group, Speaker on International Economy and Geopolitics. Bernard Baumohl, was named The Wall Street Journal survey’s Most Accurate Economic Forecaster in 2018 - The Economic Outlook Group chief economist issued the most accurate set of forecasts in the 2018 survey. Mr. Bauhmohl, who is chief global economist at The Economic Outlook Group, is well known for being ahead of the curve in assessing the direction of the U.S. and world economy. Mr. Baumohl began his career as an analyst with the Council on Foreign Relations, a think tank specializing in international affairs and national security. He later served as an economist at European American Bank with responsibilities to monitor the global economy and develop forecasts. Mr. Baumohl was also an award-winning economics reporter with TIME magazine who covered the White House, Federal Reserve and Wall Street. A sought out international speaker, he frequently makes keynote presentations before conferences, workshops and legislatures on the latest economic and geopolitical outlook. In addition to his current post as chief global economist, Mr. Baumohl is on the faculty of the New York Institute of Finance, where he conducts seminars on how forward-looking economic indicators can help business leaders better foresee turning points in the economy. He has also previously lectured at NYU and Florida Gulf Coast University. 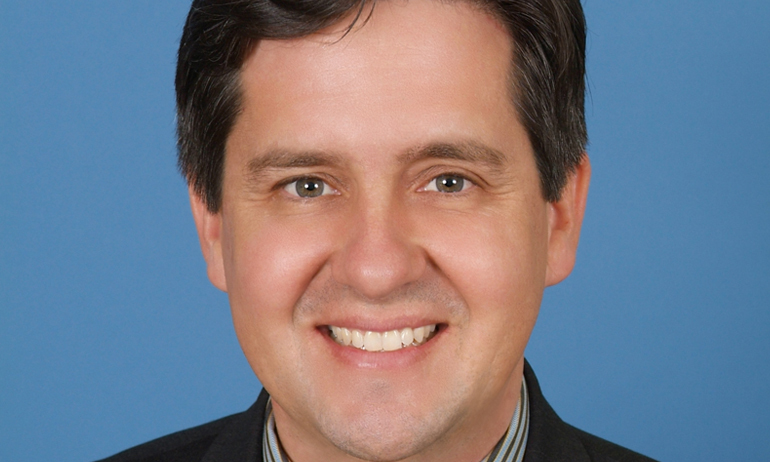 Mr. Baumohl is a member of the monthly Wall Street Journal Economic Forecast Panel and his projections on the economy and geopolitical trends are frequently cited in the New York Times, Washington Post, Business Week, Financial Times, and on National Public Radio. 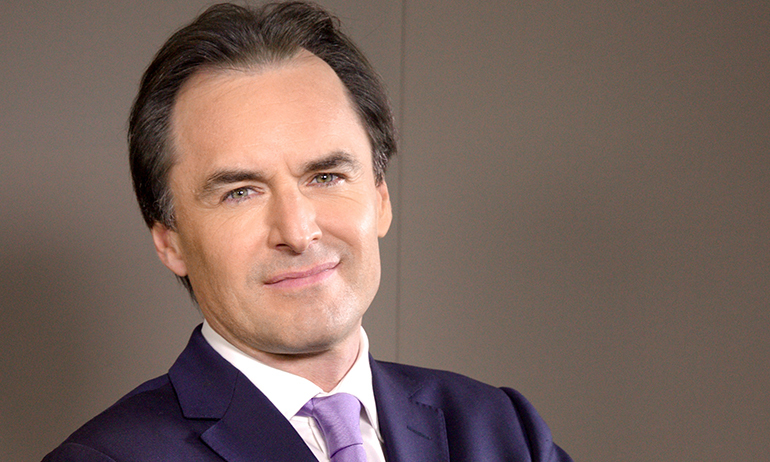 He also served as a regular commentator on TV's Nightly Business Report. Mr. Baumohl is author of The Secrets of Economic Indicators: Hidden Clues to Future Economic Trends and Investment Opportunities (Pearson Education). The best-selling book is in its 3rd edition and has been translated into several languages, including Chinese, Japanese, Russian, and German. 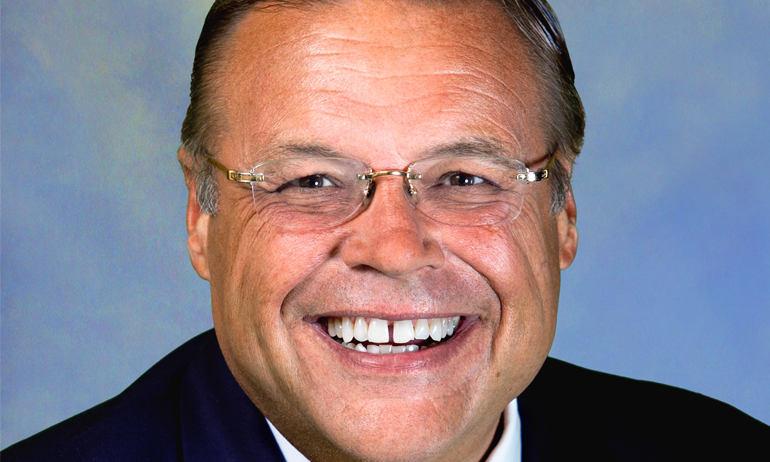 He is also a recipient of the John Hancock Award for Excellence in Financial Journalism, and is a member of the National Association for Business Economics and the American Economic Association. Mr. Baumohl holds an M.A. from Columbia University's School of International Affairs. President of Eurasia Group, a political risk consulting firm; senior fellow at the World Policy Institute and columnist for the Financial Times. 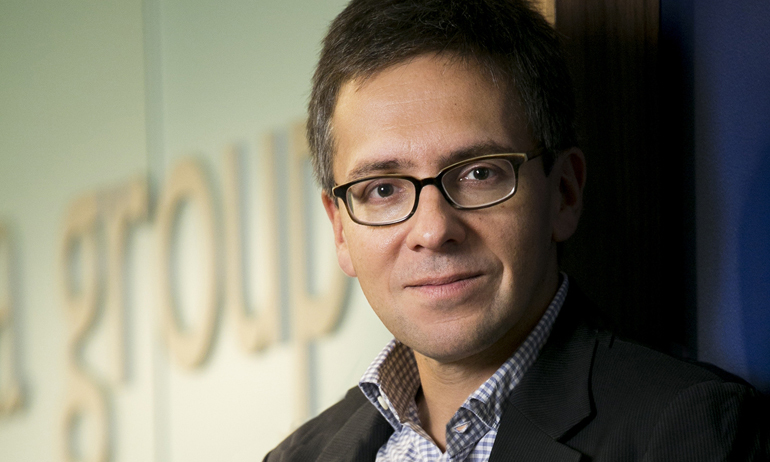 Ian Bremmer is the president and founder of Eurasia Group, the leading global political risk research and consulting firm. He is a prolific thought leader and author, regularly expressing his views on political issues in public speeches, television appearances, and top publications. Dubbed the rising guru in the field of political risk by The Economist, he teaches classes on the discipline as Global Research Professor at New York University. His latest book focuses on the future of America's role in the world and will hit shelves in May 2015. In 1998, Bremmer established Eurasia Group with just $25,000. Today, the company has offices in New York, Washington and London, as well as a network of experts and resources in 90 countries. Eurasia Group provides analysis and expertise on how political developments and national security dynamics move markets and shape investments across the globe. As the firm's president and most active public voice, Bremmer advises leading executives, money managers, diplomats and heads of state. Bremmer is credited with bringing the craft of political risk to financial markets - he created Wall Street's first global political risk index (GPRI) - and for establishing political risk as an academic discipline. His definition of emerging markets - those countries where politics matter at least as much as economics for market outcomes - has become an industry standard. G-Zero, his term for a global power vacuum in which no country is willing and able to set the international agenda, is widely accepted by policymakers and thought leaders. Said Larry Summers, "Global political economy has no sharper or more prescient analyst than Ian Bremmer." Bremmer actively discusses the intersection between politics and markets in speeches and the media. He has published nine books including the national bestsellers Every Nation for Itself: Winners and Losers in a G-Zero World and The End of the Free Market: Who Wins the War Between States and Corporations? He is a regular columnist for Reuters and the Financial Times A-List, and has written hundreds of articles for many leading publications. He appears regularly on CNBC, Fox, Bloomberg, CNN, the BBC, and other networks. 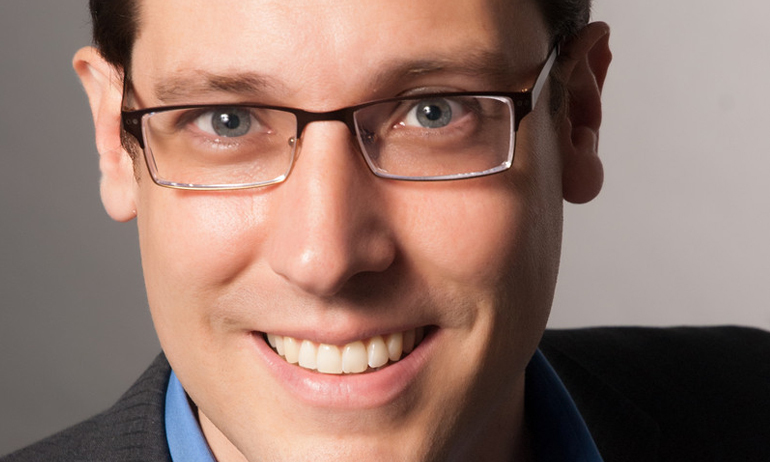 Bremmer earned a PhD in political science from Stanford University in 1994 and was the youngest-ever national fellow at the Hoover Institution. In 2007, Bremmer was named a Young Global Leader of the World Economic Forum, where he is the founding chairman of the Global Agenda Council on Geopolitical Risk. He is a Senior Fellow at the World Policy Institute and serves on the President's Council of the Near East Foundation, the Leadership Council for Concordia and the Board of Trustees of Intelligence Squared. At the vanguard of his generation, 36 years ago Harry Broadman began building a career that epitomizes present-day 'serial entrepreneurs’ as a practitioner in high growth emerging markets of international finance, global business growth and risk-mitigation strategy, corporate governance and anti-corruption compliance practices, and the nature and pace of innovation. Re-inventing himself multiple times in a truly interdisciplinary fashion across greatly differentiated senior roles in the private sector, interspersed with stints as a high-level policy maker and regulator, Harry emerged as a genuine thought leader on the transformation of world markets long before the term "globalization" was ever uttered. His professional journey—the imprints of which color his thought-provoking speeches—has been driven by his intense personal inquisitiveness about the elements shaping the operations successful firms pursue to grow rapidly, excel at remaining more competitive than rivals, reduce exposure to risks and constantly innovate. Harry brings to audiences a unique combination of fundamentally insightful yet pragmatic views about how market and policy dynamics impact Boards, C-Suites, and workers enterprise-wide, and how they’ll alter the fortunes of today's businesses in ways few ever could have predicted. He has the rare ability to frame speeches about the impacts of the most salient business issues from a prospective vantage point rather than conventional rear-view mirror extrapolation, and do so through a prism that recognizes the intrinsic non-linearities of market changes. And, all done in a highly entertaining mode and infused with Harry’s infectious sense of humor. Harry has authored several books and numerous professional articles published in a wide array of peer-reviewed economics, law, and foreign policy journals. His most recent books are: Africa's Silk Road: China and India's New Economic Frontier; From Disintegration to Reintegration: Russia and the Former Soviet Union in the Global Economy; and The State As Shareholder: China's Management of Enterprise Assets. Economic expert and trend forecaster. Former White House Economic Advisor. 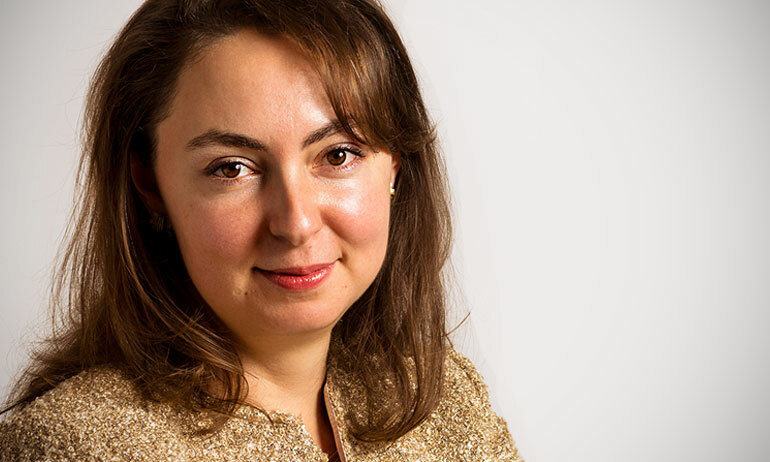 Dr. Antonia Colibasanu is Geopolitical Futures’ Chief Operating Officer. She is responsible for overseeing all departments and operations for the company. Dr. Colibasanu joined Geopolitical Futures as a senior analyst in 2016 and frequently speaks on international economics and security topics in Europe. Since 2012 she has served on the educational board of the International Academy of Advanced Studies in Greece, a summer program that brings together students from Eurasia and the Middle East. 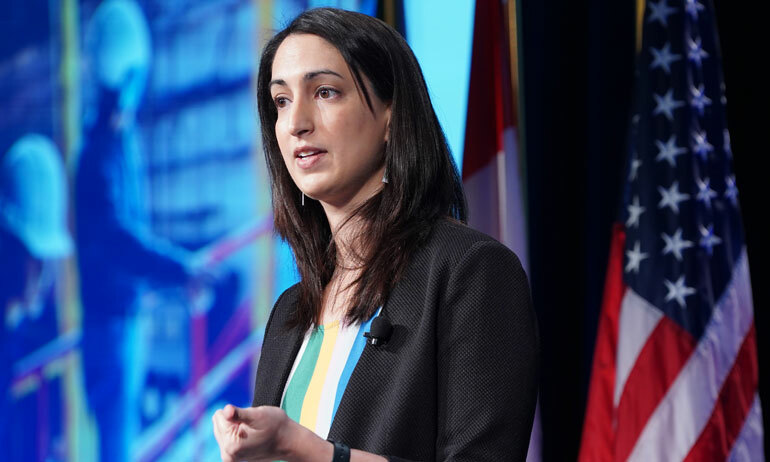 Prior to Geopolitical Futures, Dr. Colibasanu spent more than 10 years with Stratfor in various positions, including as partner for Europe and vice president for international marketing. Dr. Colibasanu was also an associate professor at the Romanian National Intelligence Academy and Bucharest University. Prior to joining Stratfor in 2006, Dr. Colibasanu held a variety of roles with the World Trade Center Association in Bucharest. Dr. Colibasanu holds a Doctorate in International Business and Economics from Bucharest’s Academy of Economic Studies, where her thesis focused on country risk analysis and investment decision-making processes within transnational companies. She also holds a Master’s degree in International Project Management. She is an alumna of the International Institute on Politics and Economics at Georgetown University. Geoff Colvin's catchphrase is "One thing that defines the best companies and leaders is they confront reality faster than the competition." 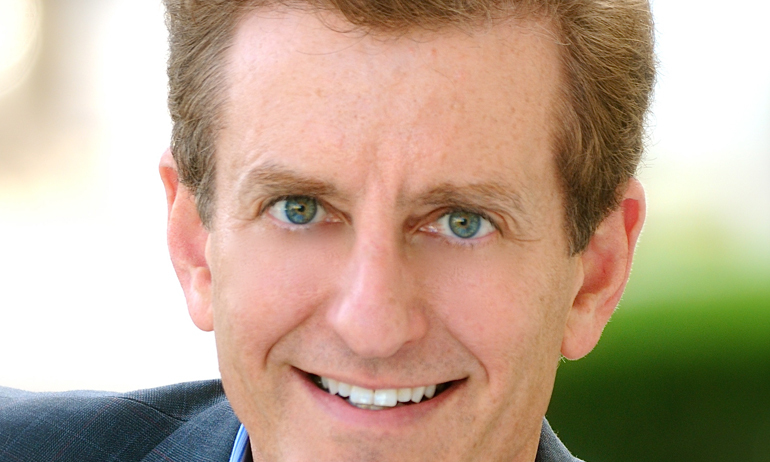 Geoff Colvin of Fortune delivers valuable insights to help them do just that. His unique perspective stems from unparalleled access to top global business leaders who tell him what they’re seeing, thinking, and doing. As a result, Geoff can provide audiences with a clearer path for an uncertain future. Geoff unpacks actionable insights on the economic, market, political, and technological forces driving disruptive change. Geoff’s columns and cover stories in Fortune have earned him millions of loyal fans, many of whom also hear him on the CBS Radio Network, where he reaches seven million listeners each week. 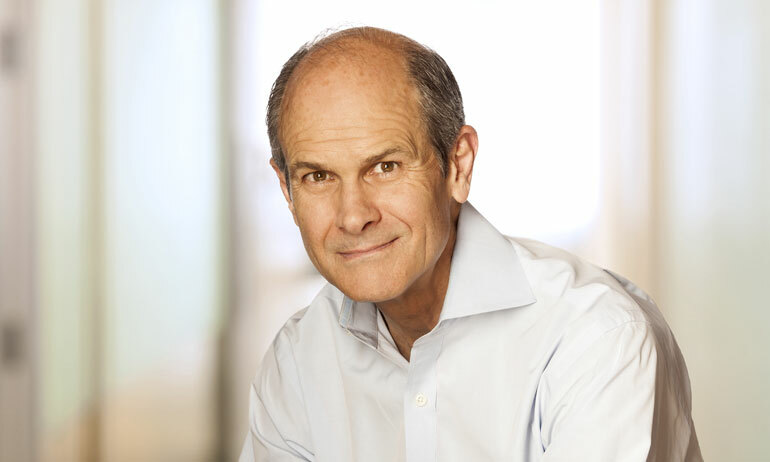 Geoff Colvin is author of four books including the groundbreaking international best-seller Talent Is Overrated: What Really Separates World-Class Performers from Everybody Else. His latest book is The New York Times best-seller Humans are Underrated which looks at the future of work and how humans will fit into a workplace filled with robots and smart technology. In addition to his daily CBS Radio Network segments, Geoff has appeared on Today, Good Morning America, Squawk Box, CBS This Morning, ABC's World News Tonight, CNN, PBS's Nightly Business Report, and dozens of other programs. He also served as anchor of Wall Street Week with Fortune on PBS. Geoff is a respected author whose groundbreaking international best-seller, Talent Is Overrated: What Really Separates World-Class Performers from Everybody Else, has been published in a dozen languages. The Upside of the Downturn: Management Strategies for Difficult Times was named “Best Management Book of the Year” by Strategy + Business magazine. Geoff’s latest book is Humans are Underrated: What High Achievers Know That Brilliant Machines Never Will. It’s based on the idea in his wildly popular Fortune article “In the Future Will There Be Any Work Left for People to Do?” It looks at the trend of technology displacing more jobs than it creates, and the ways humans will create value for their organizations and their careers in the changing economy. The ideas he shares have profound implications for every business and industry. Host of Anderson Cooper 360 on CNN. 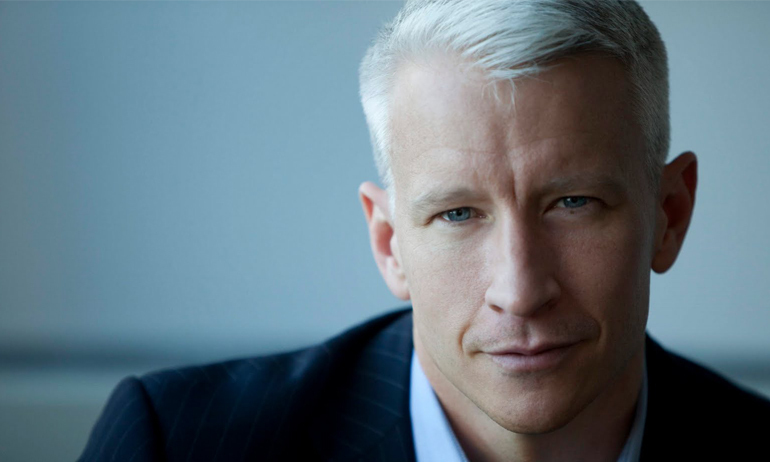 Anderson Cooper anchors Anderson Cooper 360, an unconventional, wide-ranging news program airing on CNN/U.S. weekdays. Cooper, who joined CNN in December 2001, served as CNN's weekend anchor before moving to the 7 p.m. hour in March 2003 following the war in Iraq. Since joining CNN, Cooper has anchored major breaking news stories, including Hurricane Katrina and the war in Iraq, as news of the military conflict was unfolding live during the day in Baghdad. Cooper also anchored much of CNN's live coverage of the D.C.-area sniper story and the coverage of the Space Shuttle Columbia explosion. Because of Cooper's background as a war correspondent for Channel One News, he was sent to Afghanistan after the Sept. 11, 2001, terrorist attacks to report on the U.S. military conflict and to Qatar where he reported on the testing of CENTCOM's new mobile headquarters. Most recently, as a weekday anchor, Cooper was the only Western journalist to interview Liberian president Moses Blah on the day he took office. Before joining CNN, Cooper was an ABC News correspondent and host of the network's reality program, The Mole. Cooper anchored ABC's live, interactive, overnight news and interview program, World News Now as well as providing reports for World News Tonight, 20/20 and 20/20 Downtown. Previously, he was a New York-based correspondent for ABC News, reporting primarily for World News Saturday/Sunday. Professor of Economics at Harvard University and President Emeritus of the National Bureau of Economic Research. 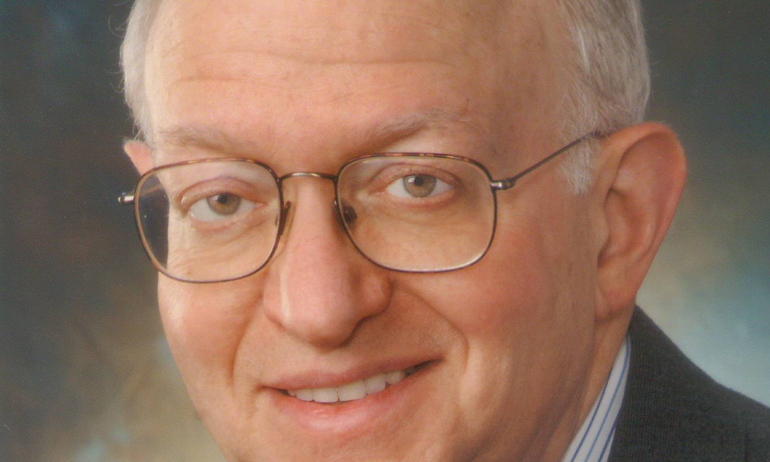 Martin Feldstein is the George F. Baker Professor of Economics at Harvard University and President Emeritus of the National Bureau of Economic Research. He served as President and CEO of the NBER from 1977-82 and 1984-2008. He continues as a Research Associate of the NBER. The NBER is a private, non-profit research organization that has specialized for more than 80 years in producing nonpartisan studies of the American economy. He is a Trustee of the Council on Foreign Relations and a member of the Trilateral Commission, the Group of 30, the American Academy of Arts and Sciences, and the Council of Academic Advisors of the American Enterprise Institute. Martin Feldstein is a graduate of Harvard College and Oxford University. Global economic historian; named by Time Magazine as one of the 100 Most Influential People in the World. Niall Ferguson is one of the world's leading historians of the global economy, and author of a number of internationally-acclaimed works. He is Laurence A. Tisch Professor of History at Harvard University, a Senior Fellow at the Hoover Institution, Stanford University, and a Visiting Professor at Tsinghua University, Beijing. Controversial, expansive, and eloquent, Ferguson is one of the most talented historians of his generation. The ambitious themes he explores in his work have urgent relevance to the present as well as the past: the costs and benefits of economic globalization; the interface between finance and politics; the lessons to be learned from the British experience of empire; and most recently, the strengths and limitation of American global power. His first book, Paper and Iron: Hamburg Business and German Politics in the Era of Inflation 1897-1927 (1995), was short-listed for the History Today Book of the Year award, while the collection of essays he edited, Virtual History: Alternatives and Counterfactuals (1997), was a UK bestseller and subsequently published in the United States, Germany, Spain and elsewhere. In 1998 he published to international critical acclaim The Pity of War: Explaining World War One and The World's Banker: The History of the House of Rothschild . The latter won the Wadsworth Prize for Business History and was also short-listed for the Jewish Quarterly/Wingate Literary Award and the American National Jewish Book Award. In 2001 he published The Cash Nexus: Money and Power in the Modern World, 1700-2000 , following a year as Houblon-Norman Fellow at the Bank of England. He is a regular contributor to television and radio on both sides of the Atlantic. In 2003 he wrote and presented a six-part history of the British Empire for Channel 4, the UK terrestrial broadcaster. The accompanying book, Empire: The Rise and Demise of the British World Order and the Lessons for Global Power, was a bestseller in both Britain and the United States. The sequel, Colossus: The Rise and Fall of the American Empire, was published in 2004. Two years later he published The War of the World: Twentieth Century Conflict and the Descent of the West, which was also a PBS series. His most recent book is the best-selling Ascent of Money: A Financial History of the World (2008), and it aired on PBS. His most recent books are High Financier: The Lives and Time of Siegmund Warburg (2010) and Civilization: The West and the Rest, also a major TV documentary series. 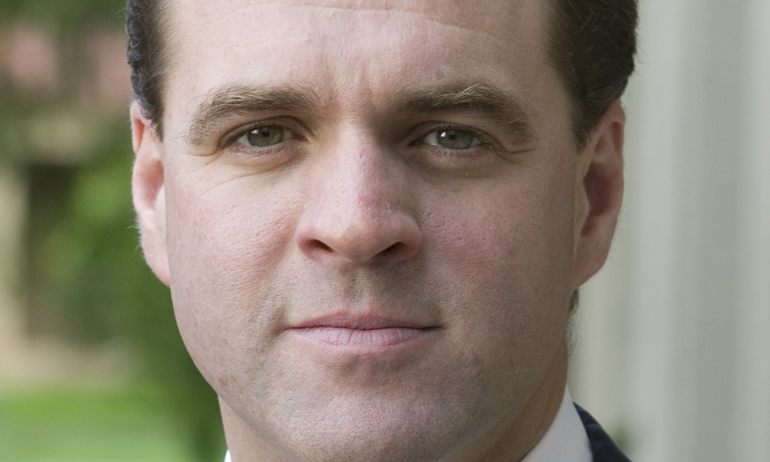 A weekly columnist for Newsweek and a contributing editor for Bloomberg TV, Niall Ferguson divides his time between the United States and the United Kingdom. He is currently working on a life of Henry Kissinger. The film based on his interviews with Kissinger won the 2011 New York Film Festival prize for Best Documentary. Author of The Next 100 Years: A Forecast for the 21st Century and Speaker on International Affairs. 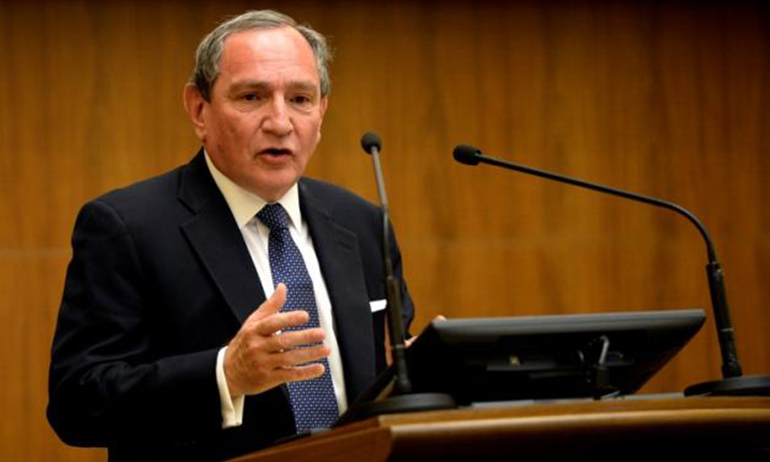 George Friedman is an internationally recognized geopolitical forecaster, international affairs strategist and best-selling author. As Founder and Chairman of Geopolitical Futures, a new online publication dedicated to forecasting the course of global events, Friedman combines his passion for writing and publishing for his readers world wide who follow international affairs. Prior to founding Geopolitical Futures, Friedman guided the intellectual vision of Stratfor, the geopolitical intelligence publishing and consulting firm he founded in 1996. Friedman is the author of numerous New York Times best-selling books. His book, Flashpoints: The Emerging Crisis in Europe (2015), predicts the borderlands where centuries old tensions are re-emerging and will spark new conflicts. The Next 100 Years: A Forecast for the 21st Century (2009), predicts the geopolitical changes shaping the 21st century and was published in over 20 languages. The prescience of Friedman’s geopolitical predictions keep this book alive as they continue to unfold in many countries. Friedman’s The Next Decade: Where We've Been and Where We're Going (2011), was also a best-seller. His other books on warfare and intelligence have included America's Secret War, The Future of War and The Intelligence Edge. Keep an eye out for Dr. Friedman's upcoming book: The Storm Before the Calm: America's Discord, the Coming Crisis of the 2020s, and the Triumph Beyond. A very popular keynote speaker on the future of international geopolitics, Friedman is in high demand at numerous conferences and industry-specific events. He has briefed for many major military and government organizations and is frequently invited to speak internationally. Friedman appears regularly as an expert on international affairs and intelligence on major television and radio networks and is frequently quoted in leading American and international news publications. Friedman received his bachelor’s degree from the City College of the City University of New York and holds a Ph.D. in government from Cornell University. He lives in Austin, Texas. Garry Golden is a professionally trained futurist who writes, speaks, and consults about issues that will shape society and business in the 21st century. His uncanny sense of what will hit—and what won’t—can be seen in futurethink’s research and heard in his international keynotes and corporate leadership seminars. His insights on how to align talent development to coming industry and market transitions have been shared with and implemented by such organizations as the McGraw-Hill Companies, Goodyear, S&P, and Reliant Energy. 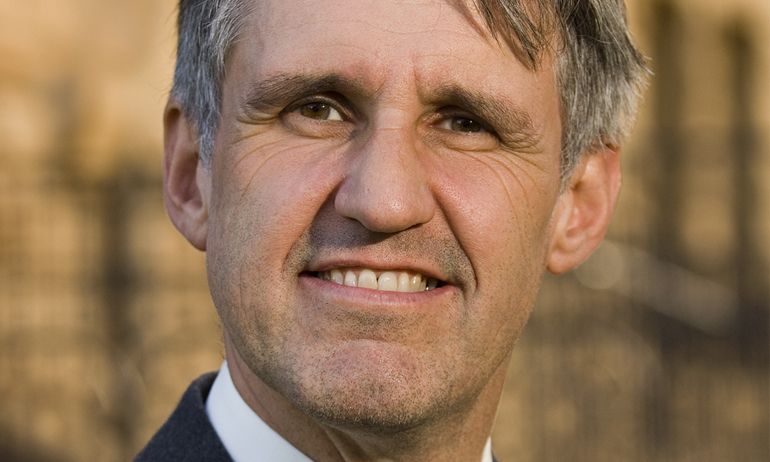 Garry serves as Adjunct Lecturer on the Future of Energy and Environment for the University of Houston. He has consulted on projects as diverse as the future of utilities; transportation and supply chains; food safety and health; financial services; and sustainable retail packaging. He is the co-author of the inspiring book Designing Your Future, and author of the upcoming book titled The Age of Adaptive Experiences. 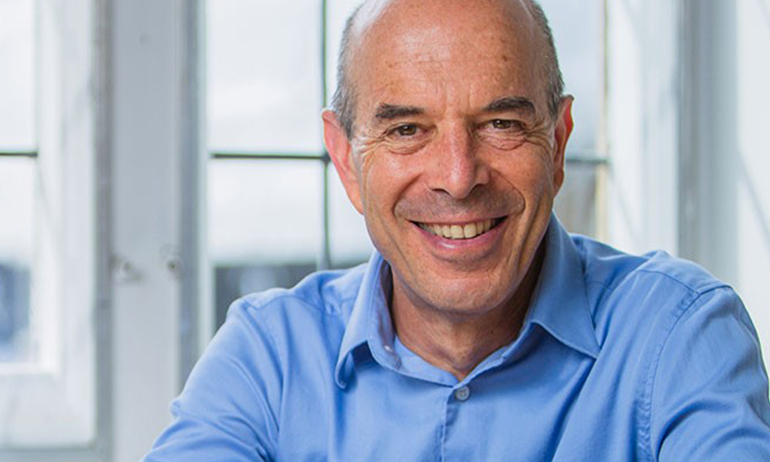 Professor Ian Goldin was the Founding Director of the Oxford Martin School from September 2006 to September 2016. He is currently Oxford University Professor of Globalization and Development and the Director of the Oxford Martin Programme on Technological and Economic Change. He is a Senior Fellow at the Oxford Martin School and a Professorial Fellow at the University’s Balliol College. During his decade as Director the School established 45 programs of research, bringing together more than 500 academics from across Oxford, from over 100 disciplines, and becoming the world’s leading centre for interdisciplinary research into critical global challenges. Professor Goldin initiated and was Vice-Chair of the Oxford Martin Commission for Future Generations, which brought together 19 international leaders from government, business, academia, media and civil society to address the growing short-term preoccupations of modern politics and business, and identify ways of overcoming today’s gridlock in key international negotiations. The Commission’s report, Now for the Long Term, was published in October 2013. Ian has served as a non-executive director on the boards of a number of leading businesses, including Old Mutual, Implenia AG, Metropolitan Life, and CDC Plc. His board positions include being the lead independent director and chairing investment, credit, risk, audit, strategy, remuneration, social responsibility and ethics committees. 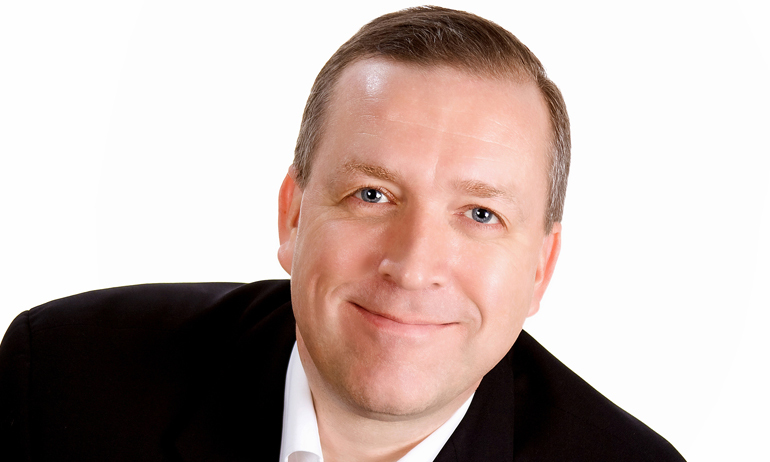 Ian has advised over 50 governments and 100 leading global businesses. His non-profit activities include being the Chair of the CORE-econ.org initiative to reform global economics and serving as a trustee of Comic Relief and other charities. Goldin has received wide recognition for his contributions to development and research, including having been knighted by the French Government and nominated Global Leader of Tomorrow by the World Economic Forum. He has published over 50 articles and 20 books, including Globalization for Development: Meeting New Challenges (Oxford University Press, 2012), Exceptional People: How Migration Shaped our World and Will Define our Future (Princeton University Press, 2011), Divided Nations: Why Global Governance is Failing and What We Can Do About It (Oxford University Press, 2013), The Butterfly Defect: How Globalization Creates Systemic Risks, and What To Do About It (Princeton University Press, 2014) and an edited volume, Is the Planet Full? (Oxford University Press, 2014). His latest books are The Pursuit of Development: Economic Growth, Social Change and Ideas (Oxford University Press, 2016) and Age of Discovery: Navigating the Risks and Rewards of Our New Renaissance (Bloomsbury and St Martin’s Press, 2016). Ms. Goujon joined Stratfor in 2004 and has been featured in numerous newspapers and broadcasts, including Bloomberg, National Public Radio, CNN, The Associated Press, National Public Radio, Time Magazine, Al Jazeera English, Fox News, Haaretz, The New York Times, The Hindustan Times, Agencia Estado, Xinhua, Veja and Business Week. Ms. Goujon has a bachelor's degree in political science from the University of Texas and a master's degree from the Security Studies Program of the School of Foreign Service at Georgetown University in Washington, D.C.
Rudyard Griffiths is the anchor of Bloomberg North on Bloomberg TV Canada, and the moderator of the semi-annual Munk Debates, the world’s preeminent public debating forum. Rudyard is a sought after commentator on global economics and geopolitics, and an expert at moderating Q&A format presentations, one-on-one interviews, and panels with business leaders and executives. In 2015, Griffiths moderated the first ever Canadian federal election debate dedicated to foreign policy issues. 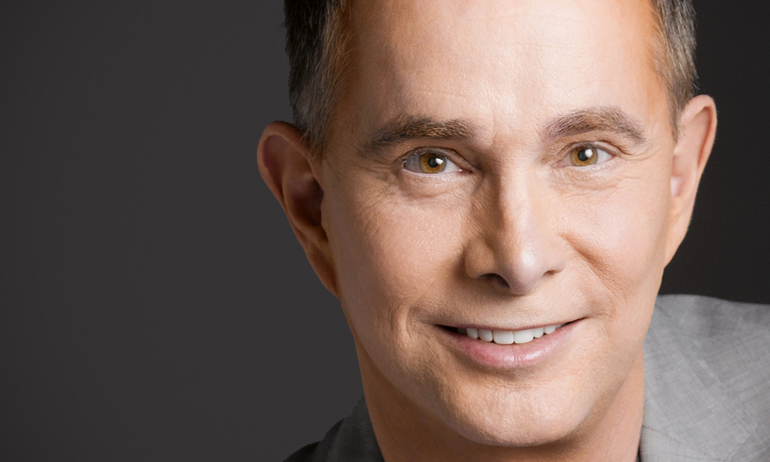 Before joining Bloomberg TV Canada, he was a regular business commentator and co-host on CBC’s The Exchange, and prior to that, he co-hosted BNN’s top-rated business show Squeeze Play and National Affairs on CTV. He is the author of the 2009 Globe and Mail Book of the Year, Who We Are: A Citizen’s Manifesto and has edited over a dozen books on international affairs, politics and history. 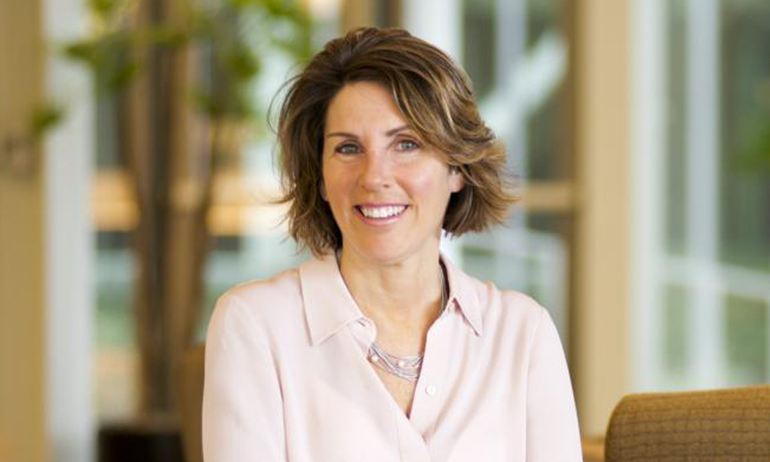 Amy Myers Jaffe is a leading expert on the geopolitics of oil and gas and energy security and is an influential thought leader on global energy policy and sustainability. She is Chair, World Economic Forum (Davos) Global Agenda Council on The Future of Oil and Gas, and is executive director for Energy and Sustainability at University of California, Davis. A frequent keynote speaker at major energy industry and investment conferences and board of directors meetings, Jaffe is a widely quoted commentator on energy and the environment in international media who has provided testimony on Capital Hill, Jaffe appears regularly on a variety of television and print media, including CNN, The New Hour with Jim Lehrer, FOX, Al-Jazeera TV, MSNBC, National Public Radio, the Wall Street Journal and the Financial Times of London. Her writings have been featured by the New York Times, Dow Jones International, and Petroleum Intelligence Weekly. She has a regular blog at the Houston Chronicle and is a contributor on energy and climate change to the Wall Street Journal’s blog The Experts. 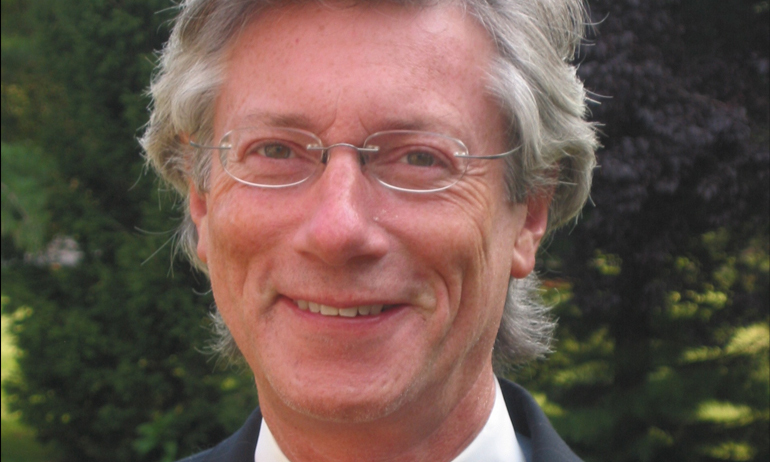 Jaffe is a member of the National Petroleum Council and serves as an advisory board member of GE Ecoimagination and as a technical committee member on shale gas for the Union of Concerned Scientists. A contributor to Foreign Policy magazine’s “21 Solutions to Save the World” and recipient of the Award for Excellence in Energy Writing by the International Association for Energy Economics, Jaffe was named to Esquire’s annual 100 Best and Brightest and Elle Magazine’s Women for the Environment. 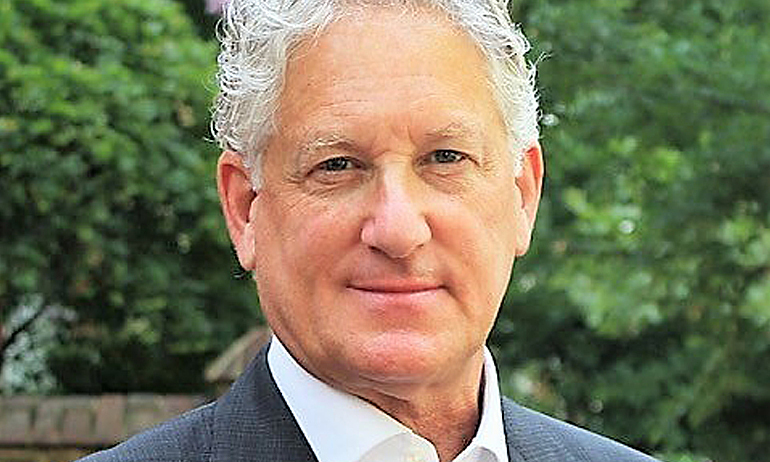 Prior to joining UC Davis, Jaffe served as director of the Energy Forum and Wallace S. Wilson Fellow in Energy Studies at Rice University’s James A. Baker III Institute for Public Policy. Jaffe’s research focuses on oil and natural gas geopolitics, strategic energy policy, alternative fuel (for the state of California and beyond), corporate investment strategies in the energy sector, sustainability and risk and energy economics. Jaffe served as a member of the reconstruction and economy working group of the Baker/Hamilton Iraq Study Group, as project director for the Baker Institute/Council on Foreign Relations Task Force on U.S. Strategic Energy Policy, and as chair, working group on nuclear power in the Middle East for the U.S. Institute for Peace-Stinson Center strategic task force on Iran and as a principal advisor to USAID’s project on Options for Developing a Long Term Sustainable Iraqi Oil Industry. Katty (pronounced CAT-TEE) Kay is the lead anchor for BBC World News America. She is seen in America on nearly 300 Public Broadcasting Stations which carry BBC World News America broadcasts. Katty’s reports on the latest U.S. economic and political news are also carried by BBC News channels globally, giving her a vast international audience. In addition, Katty is also a frequent guest commentator on NBC’s Meet the Press as well as a regular guest and substitute co-host on MSNBC’s Morning Joe. She also hosted 100 Days on the BBC, covering the first 100 days of the Trump administration. The daughter of a British diplomat, Katty grew up all over the Middle East. Her career with the BBC began in Zimbabwe in 1990 where she started filing radio reports for BBC World Service radio. From there she also covered the end of apartheid in South Africa. Katty then went on to work as a BBC correspondent in London, and later Tokyo, reporting on stories including the Kobe earthquake and the Japanese economic recession. 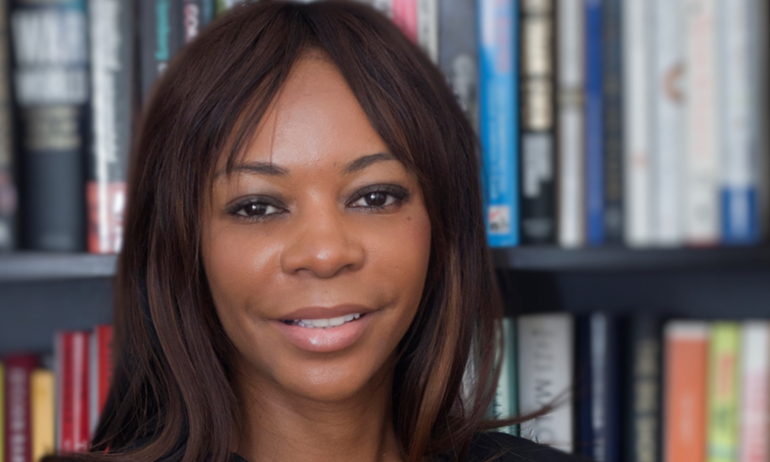 She settled in Washington in 1996 where she took some time out from broadcast journalism to join The Times’ (the British newspaper) Washington bureau before returning to the BBC in 2002. Katty Kay is co-author (with Claire Shipman) of two New York Times bestsellers. Her latest, The Confidence Code: The Science and Art of Self-Assurance—What Women Should Know, inspires women to understand that confidence – the lynchpin of success – is a choice. She shows ways to break out of comfort zones and take risks that pay off. In her first book, Womenomics: Write Your Own Rules for Success, she examined the workplace revolution and inspired women to take control, dream big and discover a different way of weaving work into their lives – and in the process create more profitable companies with happier and more productive employees. Katty studied modern languages at Oxford from where she went on to work for a brief period with the Bank of England. She speaks fluent French and Italian and also what she describes as ‘rusty Japanese’. Katty is married to Tom Carver, a strategic risk consultant. They live in Washington, D.C. with their four children. Author and speaker on the environment and climate change. Author of The Skeptical Environmentalist and Cool it. Bjorn Lomborg is adjunct professor at the Copenhagen Business School and an international keynote speaker on climate change. He is the organizer of the Copenhagen Consensus Center, which brings together some of the world's top economists, including 5 Nobel laureates, to set priorities for the world. Time magazine named Lomborg one of the world's 100 most influential people in 2004. In 2008 he was named one of the 50 people who could save the planet by the UK Guardian; one of the top 100 public intellectuals by Foreign Policy and Prospect magazine in 2010 and 2011; and one of the world's 75 most influential people of the 21st century by Esquire. Besides working as the director of Copenhagen Consensus and as adjunct professor at the Copenhagen Business School, Lomborg is the author of the best-selling The Skeptical Environmentalist and Cool it in which he challenged mainstream concerns about the environment and pointed out that we need to focus attention on the most important problems first. The Skeptical Environmentalist had its genesis in 1998, when Lomborg worked as an associate professor of statistics at the Department of Political Science at the University of Aarhus in Denmark. He published four lengthy articles about the state of the environment in a leading Danish newspaper, which resulted in a firestorm debate spanning over 400 articles in major metropolitan newspapers. The articles led to the publication of The Skeptical Environmentalist in 2001, which has now been published in every major language in the world. Since the publication of The Skeptical Environmentalist, Lomborg has been a frequent participant in public debate. His commentaries have appeared regularly in such prestigious publications as the New York Times, Wall St. Journal, Globe & Mail, The Guardian, The Daily and Sunday Telegraph, The Times, The Australian, the Economist, the LA Times and Boston Globe. He has appeared on TV shows such as Politically Incorrect and ABC 60 minutes, Larry King, 20/20, 60 minutes and BBC Newsnight along with shows on CNN, BBC, CNBC, and PBS. 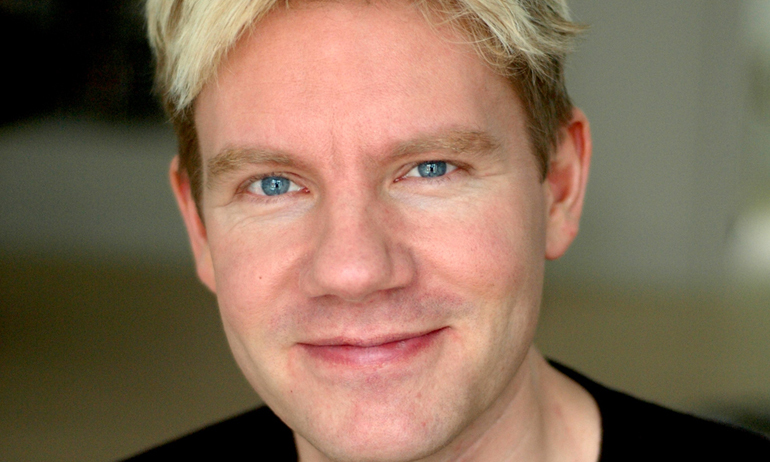 In November 2001, Lomborg was selected "Global Leader for Tomorrow" by the World Economic Forum. From February 2002 to July 2004 Lomborg was director of Denmark's national Environmental Assessment Institute. During this period he was named one of the 50 stars of Europe (as one of the 9 agenda setters in Europe) in Business Week. In April 2004, Lomborg was named one of the world's 100 most influential people by Time Magazine. Lomborg organized Copenhagen Consensus in 2004, a project which brought together some of the world's top economists to prioritize the best solutions to the world's biggest challenges. Essentially, he asked these experts to tackle the question: With limited resources, how can we do the most good possible? In June 2006 Lomborg repeated the Copenhagen Consensus project with top United Nations ambassadors instead of economists. He managed to bring together representatives from China, India and the USA, representing about half the world's population. Their ranking of solutions to the world's challenges was the first of its kind for the United Nations. These two conferences and their results have resulted in two books: Global Crises, Global Solutions and How to Spend $50 Billion to Make the World a Better Place. The last global Copenhagen Consensus project was held in May 2008. In September 2007, Lomborg published Cool It: The Skeptical Environmentalist's Guide to Climate Change, a groundbreaking book that is transforming the debate about global warming by offering a fresh perspective based on human needs as well as environmental concerns. It has already been translated into 17 languages. In October 2010 Cambridge University Press released Smart Solutions to Climate Change, edited by Bjorn Lomborg. The highly anticipated collection presents a very wide range of climate policy options including ones that are not well covered in the media, making it highly relevant to climate policy debates in search for a new treaty to succeed Kyoto. Also in November 2010, Lomborg released the documentary film, Cool It. In his most recent offering, How to Spend $75 Billion to Make the World a Better Place, Bjorn presents the costs and benefits of the smartest solutions to twelve global problems. Featuring cutting-edge research of more than sixty eminent economists, four Nobel Laureates, and produced for the Copenhagen Consensus, this book will inform, enlighten and motivate actions to make the world a better place. Bjorn is also the editor of How Much have Global Problems Cost the World? and Global Problems, Smart Solutions, out in the fall of 2013. Renowned financial expert, a New York Times best-selling author, and a pioneering online commentator. He publishes Thoughts from the Frontline through Mauldin Economics, of which he is Chairman. Mauldin Economics publishes a growing number of investing resources, including both free and paid publications aimed at helping investors thrive in today's challenging economy. Frequent contributor to publications including The Financial Times and The Daily Reckoning, John is also a regular guest on CNBC, Yahoo Tech Ticker, and Bloomberg TV. His books have appeared on the New York Times Best Sellers list four times. They include Bull's Eye Investing: Targeting Real Returns in a Smoke and Mirrors Market, Just One Thing: Twelve of the World's Best Investors Reveal the One Strategy You Can't Overlook, and Endgame: The End of the Debt Supercycle and How it Changes Everything. John is also President of Mauldin Solutions, LLC, an investment advisory firm registered with multiple states; and President and a registered principal of Mauldin Securities, LLC, member FINRA-SIPC. 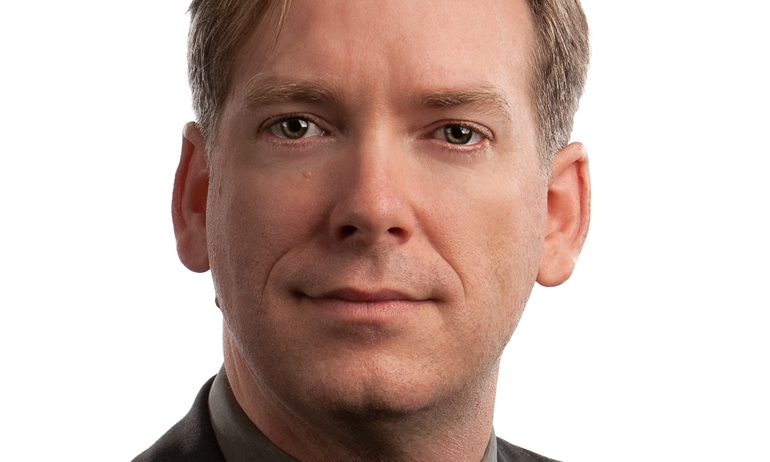 Robert McNally is the founder and President of The Rapidan Group, an independent energy consulting and market advisory firm based in the Washington DC area. Mr. McNally's clients include leading global energy market investors, producers, and traders. Mr. McNally’s 24-year professional career includes senior financial market and official posts spanning economic, security, and environmental aspects of energy market analysis, strategy, and policy-making. Mr. McNally started his professional career in 1991 as an oil market analyst and consultant with Energy Security Analysis, Inc. In 1994, he joined Tudor Investment Corporation and for twelve subsequent years analyzed energy markets, macroeconomic policy, and geopolitics for Tudor portfolio managers, earning promotion to Vice President and Managing Director. From 2001 to 2003, Mr. McNally served as the top international and domestic energy adviser on the White House staff, holding the posts of Special Assistant to the President on the National Economic Council and, in 2003, Senior Director for International Energy on the National Security Council. Mr. McNally served in the Peace Corps in Senegal from 1988-1990. He is the author of the forthcoming book Crude Volatility: The History and the Future of Boom-Bust Oil Prices, from Columbia University Press, 2016. Europe's leading futurist. Speaker on global political economy, commentator for The Independent. 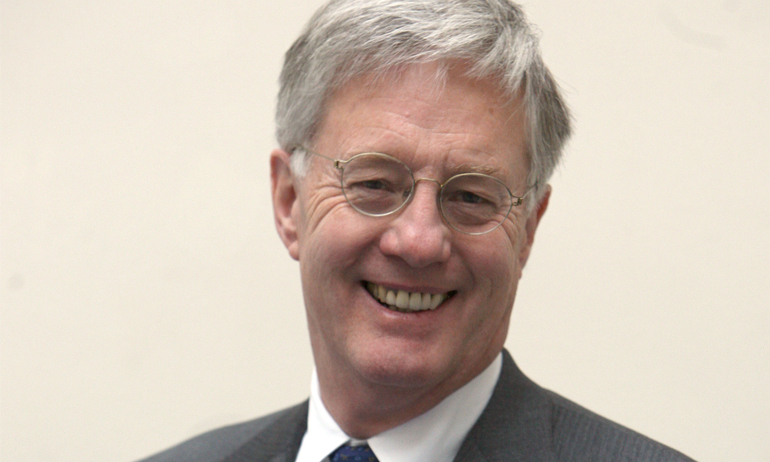 Hamish McRae is one of Europe's foremost speakers on global future trends in economics, business and society. He is Associate Editor of The Independent Newspaper in London and Principal Economic Commentator for The Independent and The Independent on Sunday and a columnist for the London Evening Standard. He is the author of the acclaimed work on the future, The World in 2020: Power, Culture and Prosperity, which was long-listed for the Business Book of the Year at the FT/Goldman Sachs Awards in New York in 2010. Following its publication he became a sought-after speaker on trends in the economy, technology and business. Hamish's other books include Capital City - London as a Financial Centre, co-authored with Frances Cairncross, and Wake-up Japan, co-authored with Tadashi Nakamae. and What Works: Success in Stressful Times, which was long-listed for the Business Book of the Year at the FT/Goldman Sachs Awards in New York in 2010. He is an Adjunct Professor at Trinity College, Dublin, and a Governor of the National Institute for Economic and Social Research as an economic journalist, Hamish McRae was editor of Euromoney and financial editor of The Guardian before moving to The Independent. He is now working on a new book, provisionally entitled The World in 2050, to be published in 2020. Historian Ian Morris is interested in understanding why the west has dominated the earth for the last few centuries, and his latest book, Why the West Rules . . . For Now has bolstered his reputation as one our most important, and interesting, historians. The book asks how geography and natural resources have shaped the distribution of wealth and power around the world across the last 20,000 years and how they will shape our future. Ian's thought-provoking Big Picture view of the changes sweeping the global economy appeals to both financial and investment groups. From 2000 through 2006 Professor Morris directed Stanford University's excavation at Monte Polizzo, a native Sicilian town of the seventh and sixth centuries BCE. As well as suggesting new ways of thinking about how indigenous peoples responded to ancient Greek colonialism, the project's finds have also opened up new perspectives on the similarities and differences between periods of imperial expansion in ancient to modern times. Morris came to Stanford from the University of Chicago in 1995, and since then has served as Associate Dean of Humanities and Sciences, Chair of the Classics Department, and Director of the Social Science History Institute. He also founded and has directed the Stanford Archaeology Center. His teaching includes classes on world history, ancient Greece, slavery, and archaeology. He has appeared on numerous television shows and his prizes and awards include fellowships from the Guggenheim Foundation and National Endowment for the Humanities. Author of Consumptionomics and speaker on Asia and the world. 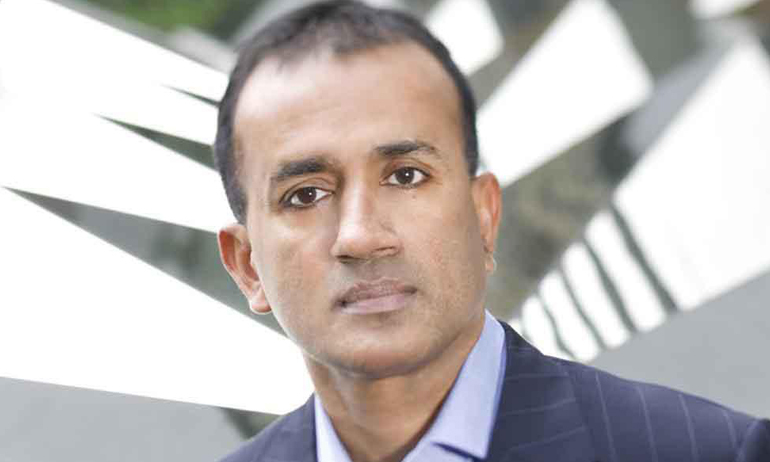 Keynote speaker Chandran Nair leads what he believes is a first - an organisation focused on the relationship of Asian society and values with those of the rest of the world. He is the founder of the Global Institute for Tomorrow (GIFT), an independent social venture think-tank dedicated to advancing an understanding of the impacts of globalisation through thought leadership and positive action to effect change. 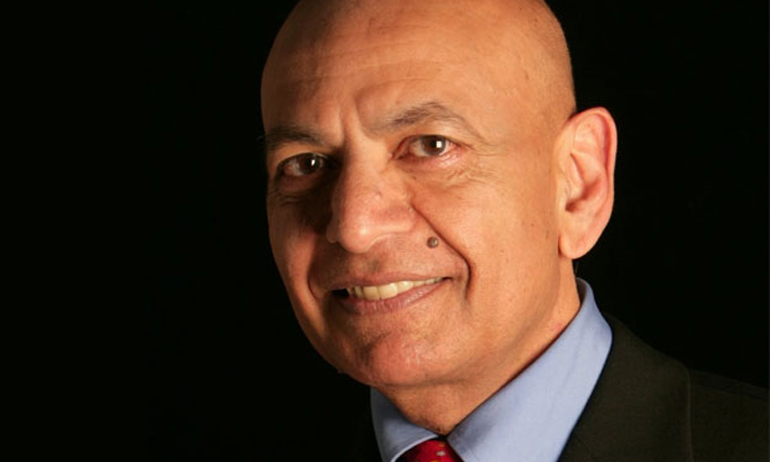 Nair is a renowned international speaker, writer and facilitator and leading expert on globalisation and development in Asia. Since 2004 Chandran has led GIFT to becoming a leading provider of experiential learning for the private, public and academic sectors. His role as Chairman of the Asia-Pacific region of Environmental Resource Management Consultancy, a position he held for over a decade, and his reputation as a provocative speaker, has attracted corporations and governments to seek his advice on a variety of leadership and business challenges in Asia. He has addressed many of these issues at forums around the world, and is a popular panelist on economic policy and sustainability platforms such as the World Economic Forum in Davos, APEC Summit and the Women's Forum for the Economy and Society. He has served as an adjunct professor at Hong Kong University of Science and Technology where he taught MBA students and continues to provide strategic management advice and coaching to business leaders. In addition, he is co-founder and Chair of Avantage Ventures, a boutique social investment advisory firm based in Hong Kong and author of Consumptionomics: Asia's role in reshaping capitalism and saving the planet. Speaker on international economy and finance, former chairman of the Investment Advisory Board. Having served eleven years as Chairman of the Investment Advisory Board of a $22 Billion trust fund, his success resulted in his being appointed by George W. Bush as Pension Board Chairman with oversight of $120 Billion in Pension & Trust Funds. He understands how important personal accountability and bottom line performance is, and the need for decision makers to have a clear vision of future trends and events in order to make successful long term strategic decisions. 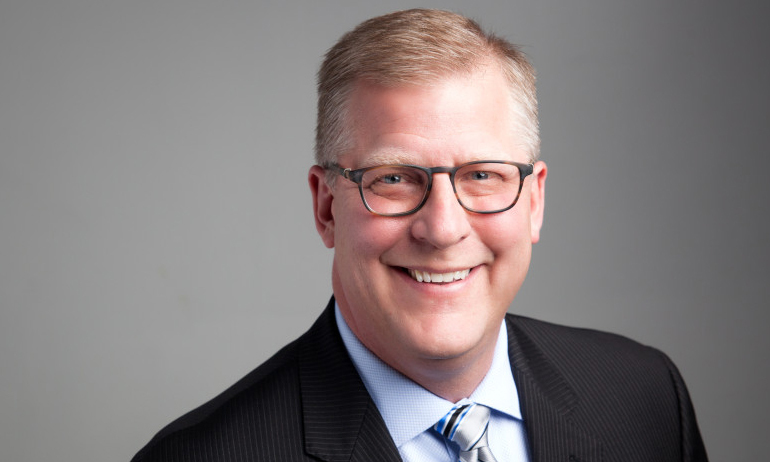 Don Reynolds has developed a track record of success and is constantly being invited back by clients for updates on specific economic and industry trends. Clients and media have described him as 'near clairvoyant, uncannily precise and brilliant.' He has lived 14 years overseas, visited over 50 countries, has lectured on Free Market Systems at the University of Moscow, spoken about the Global Economy for the Saudi Arabian Central Bank, keynoted the Australian IT Summit, advised the Heavy Equipment Industry in Rome, Keynoted for international correspondents in Indonesia and spoken on the impact of global warming in Santiago. 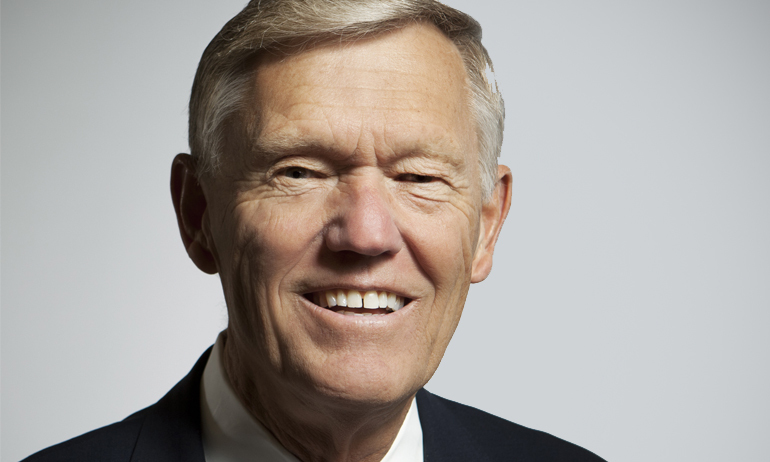 Don developed the nation's first graduate business course on the 21st Century. He has a Masters Degree in Public Administration/Planning, a Doctoral background in Economics, and is a graduate of the Securities Industry Institute of the Wharton School. He has an honorary degree from the University of Moscow and was the first American member of the Moscow Center for Consulting Scientists.